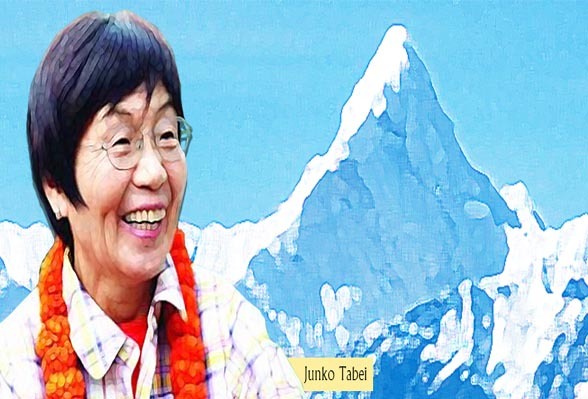 Junko Tabei, first woman to scale Mount Everest, has died at the age of 77. Tabei was suffering from cancer for the past four years and died in the course of treatment at a cancer centre in a Japanese town of Saita, according Japanese Mountaineering Association. 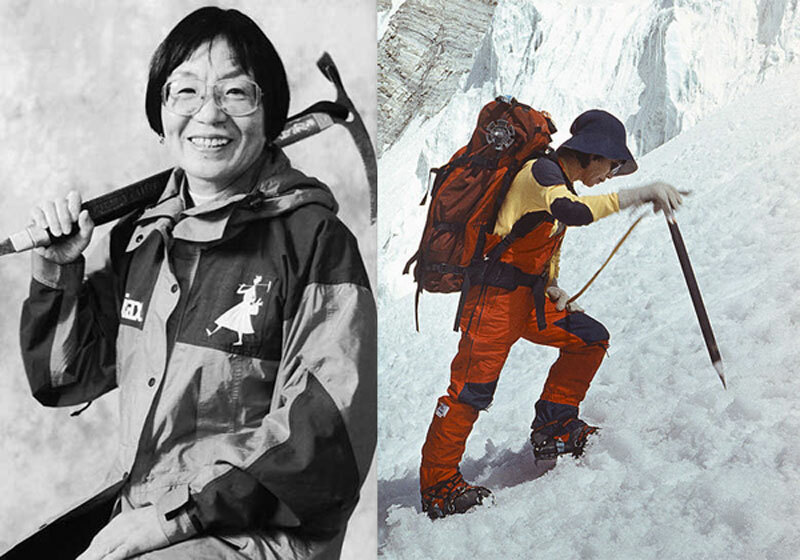 Born in Japan on September 22, 1939, Tabei reached atop the Everest in 1975, becoming the first woman to ascent the highest peak in the world. Breaking the sad news about Tabeis death, President of the Nepal Mountaineering Association Ang Tshering Sherpa said the Japanese Mountaineering Association and Alpine Club confirmed the death of Tabei, saying she died three days ago. He compared the death of Tabei as a huge loss to the mountaineering tourism sector of Nepal for Sherpa argued that Tabei adored the land housing Mount Everest. 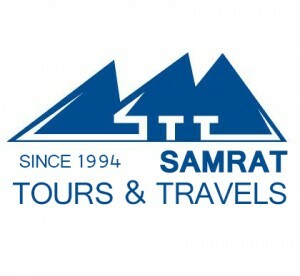 Tabei has done many good works in the sector of mountaineering tourism. She has also contributed to advancing the cause of environmental conservation and played important role in the promotion of mountaineering tourism sector, admitted President Sherpa. With her demise, Nepal lost a good friend, he added. Tabeis last visit to Nepal marked on April 30 this year when she led a Japanese mountaineering team to observe the golden jubilee of the first ascend of Mount Manaslu and Mount Lhotse. Despite concerns about safety and infrastructure following the earthquakes earlier this year, Nepal has gotten the all-clear for tourism, including on Mt. Everest. Following devastating earthquakes this spring, Nepal has officially been cleared to welcome tourists again, just in time for peak hiking season. 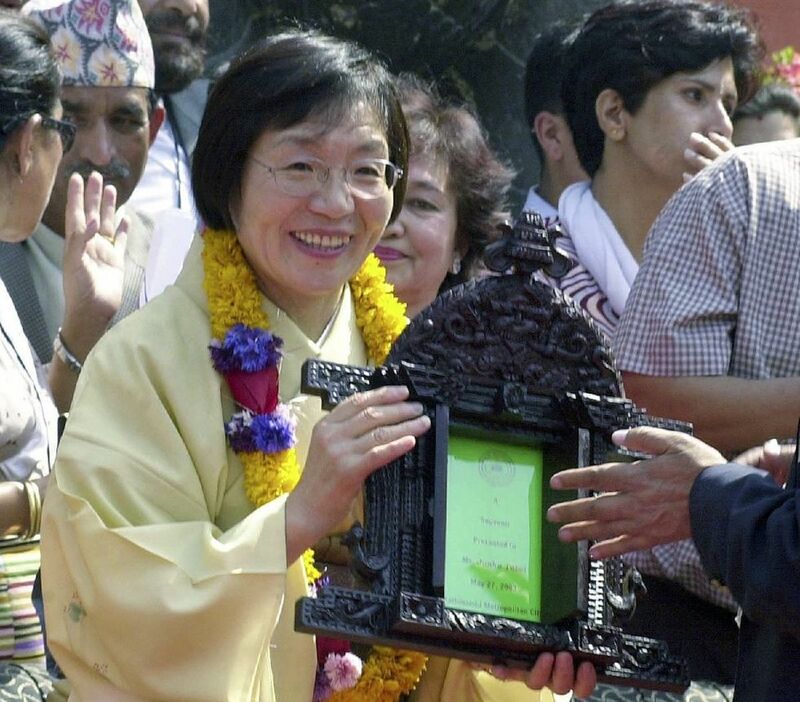 Miyamoto, a structural engineering firm, oversaw a survey of Nepal’s infrastructure that was paid for by the British government. They determined that the country—as well as Annapurna, Mt. 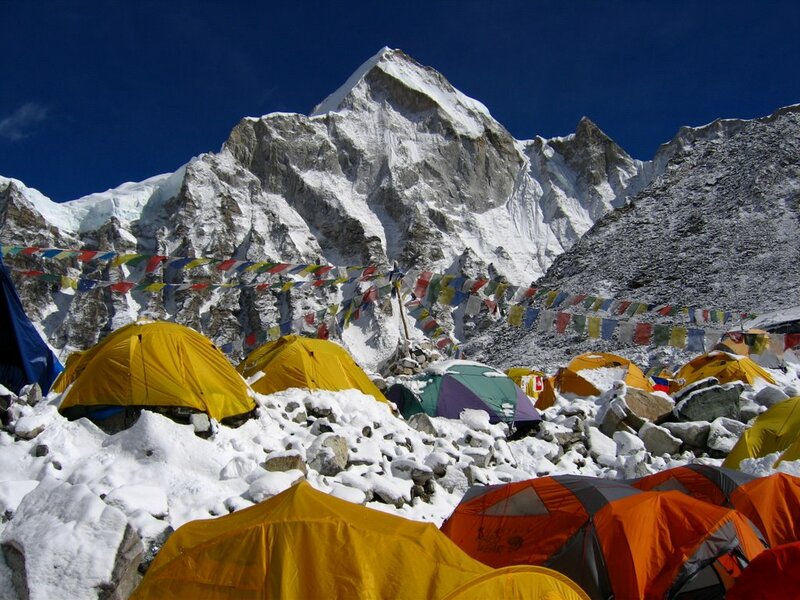 Everest, and other places favored by international tourists—is safe to visit. While the Nepalese government, which counts on tourism money to help boost its economy, is happy about the news, not everyone feels the same way. “Travel insurance is the major problem for us right now,” Shiva Dhakal, the owner of the Royal Mountain Travel tour company, told The Guardian. “Travelers from the U.K. are scared.” The survey’s methods also drew concern, as it was pulled together in a short amount of time, leading some critics to argue that it wasn’t entirely thorough. The Tauck itinerary in Kathmandu includes a flight seeing trip through the Himalayas, a Q&A with a Sherpa, and a visit to the historic village of Bhaktapur. It doesn’t involve any mountain climbing, one of Nepal’s riskiest outings. The only change to the itinerary, Armstrong reports, was a planned visit to Durbar Square, one of the UNESCO sites in Kathmandu that was seriously damaged during the quakes. It has been replaced with a visit to a similar monument in less-precarious condition. “It’s definitely not intended to be an adventure itinerary,” Armstrong added. 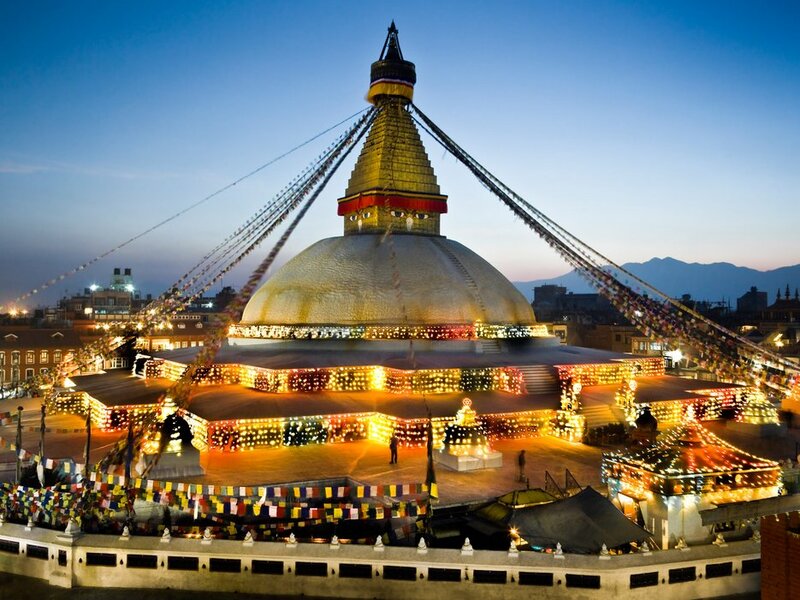 “The Nepal component is much more about history and culture. Typically, this [tour] appeals to a seasoned traveler who is culturally curious, who has traveled extensively.” He believes that people who want to help Nepal’s recovery efforts should do so by going there and spending money, as tourism is such a key part of the country’s economy. A second Miyamoto report, this one funded by the World Bank, is due this week. 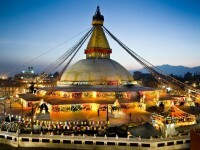 It’s also expected to say that Nepal is ready to welcome back tourists. A report prepared on the basis of structural, geotechnical earthquake damage and trekking safety assessment has concluded that most of the villages on the Everest Base Camp trail do not appear to have been affected by landslide hazards. The assessment entitled ‘Damage Assessment of Everest Region’ was conducted between June 27 and July 2 by Miyamoto International, a global engineering, construction management and project management company with funding from the International Finance Corporation. “As most of the trails and bridges are safe, we can resume trek from September after monsoon ends,” said Sagar Pandey, general secretary of Trekking Agencies Association of Nepal (TAAN). The Details: The two-week trek to Everest Base Camp and back has become increasingly popular—REI even runs a trip—but no less spectacular, if you don’t mind how much the route and the now-bottlenecked climb to the summit have changed since 1963. And why not? It’s a bucket list trip available to people who don’t have the ability (or money, a guided trip to the top of the world runs around $50,000) to actually climb Everest. Simply viewing the peak is a must. And while so many books and films have focused on the trip from Base Camp to the summit, the journey to Base Camp is no less miraculous. Beyond the chance to come face to face with the mountain from the spot where climbers begin their ascent, the route passes through the heart of the Khumbu region and wanders into its bustling, little capital, Namche Bazaar. Perched at 11,286 feet, this is where most trekkers spend a few days getting acclimatized and immersing themselves in the local culture—as well as returning to their own by checking email at an Internet cafe. From here, the trek heads up past smaller villages, like at 13,074-foot Pangboche, with its famed Buddhist monastery, before topping out at 17,650 feet at base camp, with the summit towering over 11,000 feet above. Don’t feel bad if climbers who are acclimatizing at Everest Base Camp seem to keep at a distance from you—they don’t want to be exposed to germs from trekkers before making an attempt at the highest spot on planet Earth. And while many trekkers are quite content just looking at that summit, some others, like Leif Whittaker, feel the urge to return. 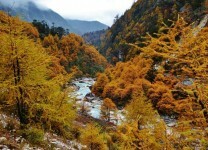 When to Go: Spring from March until the monsoons move in in May is best but September–November after the monsoon season can be beautiful as well, and a bit less crowded. About Whittaker: Jim Whittaker became the first American to stand on the summit of Mount Everest on May 1, 1963, for which he and the members of his team were awarded National Geographic Society’s Hubbard Medal and invited to the White House by President John F. Kennedy. Before he climbed to the top of the world, Whittaker was already a proficient mountaineer in the Pacific Northwest and Alaska, and like many climbing bums he worked in outdoor retail—he was the first full-time employee at Seattle’s Recreation Equipment, Inc. (REI), and later its CEO. He also led the first successful American summit of 18,151-foot K2—the world’s second highest mountain and a more difficult climb than Everest—in 1978 and the 1990 Everest Peace Climb, which included American, Soviet, and Chinese mountaineers and helped remove two tons of trash from the mountain. His son Leif followed in his father’s footsteps, reaching the top of the world in 2010 and again in 2012 when Jim set out on the Base Camp trek with him. Here’s the latest from our team in Nepal on the current state of many of the trekking routes and climbing areas. Overall, it’s a very positive message. Dolpo – All the trails are intact. This area didn’t even feel the tremor of the earthquake. Just a few days ago a group flew to Phoksundo and walked back down to Juphal. Some private groups are still trekking from Juphal to Jomsom. Tarak Shahi, our contact in Juphal, says he has bookings at his lodge for this monsoon. All the locals are busy in Yarsa Gumpa harvest and traveling to high mountains to collect Yarchagumba (an aphrodisiac herb which earn them a fortune). Dhaulagiri Circuit – No damage to the trekking trails, Karma Gyalze (one of our senior Sirdars) contacted the Tea house owner at Italian base camp and the Trans Himalaya lodge in Marpha. Similarly, Sirdar, Lhakpa ‘Tomato’ has checked on the trail from Beni-Darbang-Italian base camp, where there is no evidence of damage or changes to the trail. The locals who run little tea shops at Italian BC have just came down to villages for their off-season break. Phu Naar – No damage to the trekking trails, but there is a section in-between Koto and Metha through the woods which is prone to rock fall. This appeared after the second earthquake, with locals warning of precaution moving across this section. BB Rai through local contacts confirmed that trail to Phu – upper route – Kangla pass – Manang are fine. Annapurna Circuit – Mingma collected information through a lodge owner, Amrit Gurung, of the Thorong La lodge at Besisahar. The trails in this area are fine, though some sections are prone to landslides when descending to Jomsom via Tilicho Lake. Annapurna Sanctuary – Mingma collected information through lodge owners at Chomrong, Bamboo, Himalaya, Deurali and Machhupuchare Base Camp. The trails are fine, with lodges running as normal. The owner of the Mountain View lodge reported that at least 2 to 3 groups were heading towards Machhupuchare BC every day. Annapurna foothill trek – The owner of the Green View lodge in Ghorepani told us that the Annapurna foothill trek was accessible, the trails from Demuwa-Thulo Chaur-Jogikuti-Ghorepani-Tada Pani–Ghandruk and Nayapul are fine, with locals travelling from Ghorpani, Ullare to Jaljale to collect grasses for cattle, wild mushroom and dry wood almost everyday. Mustang – Trails in this region are fine but most of the monasteries were damaged in the quake and a few collapsed. As per Ram Bista, a lodge owner at Lo-Mathang, the King’s Palace in Chharang and Lo-Mathang also suffered some damage. Everest Base Camp – Local guide, Chogba, reported that the trail from Jiri –Shivalaya-Junbesi-Thaksindo–Kharikhola–Paiya- ukla or Phakding is fine, with the locals travelling along this every day. The trail near Phakding was blocked by a landslide about 20 metres wide, but the locals have already made a new trail which avoids it. The trail from Monjo to Namche is fine. Tenzing, the previous monk of Tyangbuche Gompa and the owner of Rivendale and Gomba lodge, said that a few lodges are damaged in Phakding, Monjo, Namche, Tyangbuche, Debuche, Pheruche, Dingbuche and Lobuche, but most of them have been rebuilt and are ready to business. Mera Peak – Gyalzen TT and Dawa Tamang have contacted the locals in Khare. They said that there is no damage to trails but a few tea houses suffered damage. Rebuilding is in progress and all affected lodges are expected to be in working condition for the autumn season. Island Peak – Conditions are fine, with a few people having climbed the mountain since the earthquake. Kangchenjunga – Karma (Chinese) has contacted the locals in Yamphudin. The trail from Gopetar to Yamphudin and across the Sele La to Ghunsa is fine. Mingma also talked with Chungdak Sherpa, a lodge owner at the Kangchenjunga Guest house in Ghunsa. He said that the route above Ghunsa to Pangpema was fine, as was the route down to Taplejung and Suketar. The locals have been travelling back and forth along this as usual. Rolwaling – no update as yet. Manaslu – no update as yet, though reports are that much of the trail has been affected by the earthquake. Langtang – as has been widely reported, the Langtang Valley was devastated by the earthquake. It is difficult to imagine trekking being possible here for some time to come. Namche Bazaar, also known as the gateway of Mt Everest, that stood intact in the recent earthquake is now awaiting tourists. Thousands of domestic and foreign tourists en route to the world’s highest mountain visit Namche Bazaar of Solukhumbu district every year to enjoy the scenic beauty of the place. However, rumors about devastation by quake have adversely affected tourism in the area. 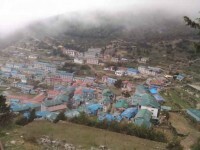 Angchhiring Sherpa, an hotelier, said, “Nothing except a few residential houses has been damaged here.” Fear among tourists is natural, especially after the strong aftershocks that followed the devastating April 25 earthquake. But Namche Bazaar, which stood intact in the quake, is without tourists these days. “Namche is still safe for tourists to visit,” Sherpa said. The news about complete destruction of Namche Bazaar is not true, according Angphinjo Sherpa, a civil society leader. “All the tourism entrepreneurs waiting to welcome tourists,” he said.